One of CyanogenMod's most popular features is an expanded version of the now defunct App Ops UI that debuted in Android last summer. The most recent nightly builds of CM have implement a new ability in App Ops. Users can now stop apps from starting up with a simple toggle. The feature comes by way of a new switch in App Ops for "Auto-Start." If you disable that permission, the app in question won't start itself on boot up. This is useful for apps you want to have around just in case, but don't want starting up in the background. 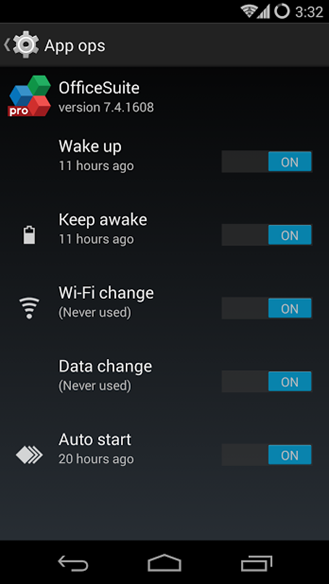 The App Ops UI now also has an extra tab to go along with the Auto-Start toggle. 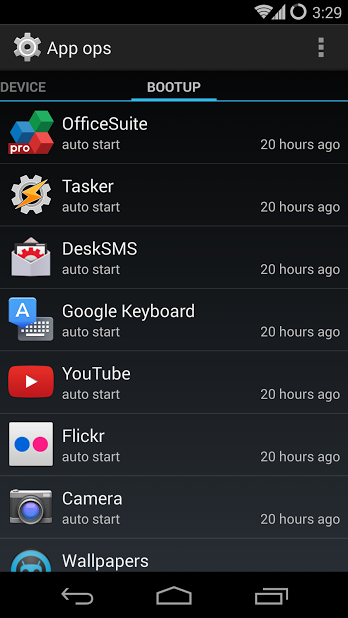 It shows a list of apps on your devices sorted by the last auto-start time. You'll have to get on the nightly branch to have this feature now, but it will probably show up in the other channels soon.